Kathryn is a freelance photographer and editor in the Boston area. 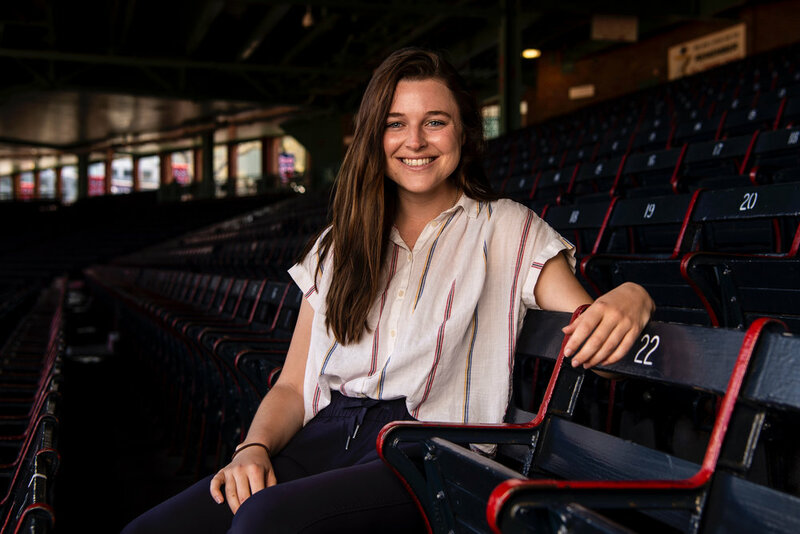 She has a love for sports photography, and spent the summer of 2017 as the Boston Red Sox photo intern. Currently she is working with the National Football League as a Live Content Correspondent for New England Patriots games. Her clients include: Boston Red Sox, Getty Images, USA Today Sports Images, Fenway Sports Management, Major League Baseball, BNP Paribas Open, Boston College Athletics, Inside Lacrosse, Boston Magazine, and others. She has been a featured artist in both the "Undergraduate Photography Now! IV" exhibition in 2016 and "Undergraduate Photography Now! III" in 2015 as part of the Flash Forward Festival. Kathryn has also been profiled by The Boston Globe, and Boston College's student newspaper, The Heights. Outside of photography, her passions include lacrosse and social media. A former NCAA Division I lacrosse player, Kathryn now spends time volunteer coaching at the high school level. She also serves as one of the four moderators for the popular Instagram page @IGBoston. She is available for assignment worldwide!